Installing a chair rail on your wall is highly functional and high style, yet with so little effort or cost. 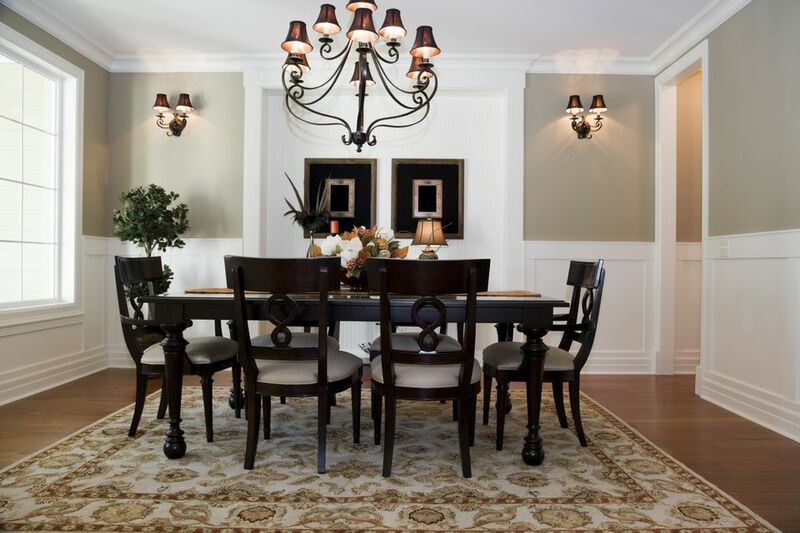 This classic type of molding instantly lends an elegant, traditional style chiefly to dining rooms, but also to living rooms, staircases, and home offices. Classified as a type of trim, a chair rail is a long, narrow strip of molding that is attached to a wall. Traditionally, chair rails were installed for the practical purpose of protecting fragile plaster walls against impact from chair backs. Over the years, though, chair rails have evolved into a decorative element. In rooms with tall ceilings (over eight feet tall), chair rails provide a visual break and help make the room feel less imposing. When wainscot is being installed, chair railing acts as the top edge of the wainscot. When correctly positioned, chair railing does perform its original duty of protecting the wall from chair damage. Small dining rooms especially are prone to damage because they have a smaller buffer between the backs of the chairs and walls. An electric miter saw is typically recommended for trim and molding work because it saves labor and it cuts cleanly. But if you wish, this is one trim project where you can use a manual miter box and hand saw because so few cuts are required and these cuts are simple. In the same sense, electric nailers tend to work better for trim because they shoot very thin nails with a single blow. Yet because the amount of nailing is so limited, you can do a decent job with a hammer and finish nails. One-third high rule: Conventional chair railing advice says that chair rail tends to look best when it is one-third of the height of the room. For a ceiling that is 8 feet high, this would place the chair rail at around 36 inches high. Chair back height: Since one purpose of chair rail is to act as a buffer between the wall and the backs of chairs, you may wish to measure the height of your chair backs and use this as chair rail height. Be sure to use the chair backs' leading edge when measuring. Visual feeling: Easily experiment with various heights by running a strip of painter's tape horizontally across the wall. Try different heights over a period of a few days until you are certain. With a tape measure or laser measuring device, measure the horizontal length of all walls where you intend to install the chair rail. Purchase trim that is long enough to cover this length, plus an additional foot or two to account for waste. It is helpful to purchase molding that is long enough to cover an entire wall run without having to splice together two separate pieces of molding. Chair railing is usually identified as such in the store. Or you can purchase any type of molding that has the width and thickness that you desire. Popular widths for chair railing tend to be in the 1 1/2-inch to 2 1/2-inch range. Popular thicknesses are in the 1/4-inch to 3/4-inch range. Use your laser or bubble level to determine the level for the chair railing on the walls. Continue this level across for all walls that will receive chair railing, snapping a chalk line to mark this line. Measure and cut lengths of chair railing to correspond with wall lengths. Cut the ends of the pieces of chair railing at a 45-degree angle, so that when two adjoining pieces meet, they form a 90-degree angle. It is helpful to prime and paint your molding prior to installation. While you will still need to paint the trim again after it is installed, painting as much as possible in advance significantly reduces the amount of painting required when the trim is on the wall. Installed trim is more difficult to paint because of the taping involved and the possibility of creating a mess on the floor and walls. Use the stud finder to locate all vertical studs in the room. Mark studs with small pieces of painter's tape. If you are intending to paint the room, you can mark lightly with the pencil. Attach the chair rail to the wall with the electric nailer or with a hammer and finish nails. If you need to join two runs of chair rail, use a scarf joint. A dot of wood glue on the joint helps it stay together over the long-term. Patch visible holes with wood filler. Finish with a final coat of paint.